I must be doing something wrong - I am following a fairly simple pattern for a bulky openwork cowl. The pattern starts with casting on 69 stitches then the first row is a knit - so far no problem. The second row calls for K1, yo P3tog, K1 and repeat to end of row. Third row is P2tog yo K1 yo P3tog yo K1 yo and repeat to end of row. Rep last two rows until work measures 9". I don't think the problem is necessarily with you. 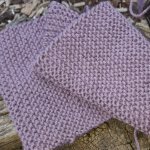 I have had a look at the pattern you have provided and they would result in a reducing number of stitches. I can't quite work out how you got down to 36 stitches but the instructions would result in a reduced number of stitches. The second row would decrease 1 sts for each repeat, depending on how you read the instructions (was there was an * in there somewhere that you didn't add here maybe? ), there are 14 (or 17) repeats, so you would lose 14 or 17 stitches on that row. In the third row the instructions would result in an increase of 1 stitch for each repeat. The repeats are 8 stitches so there are around 6 repeats (the number of stitches does not divide equally, so you would have stitches left over at the end of the row), which would add back 6 of the 14 - 17 stitches you had lost in the previous row. The pattern doesn't make sense. There is either something missing from the instructions you have typed here or the pattern is just plain wrong. Not sure which it is, if you had added a photo of the picture on the pattern I may have been able to work out what the designer was trying to do but without seeing the pattern I am afraid I can't help.